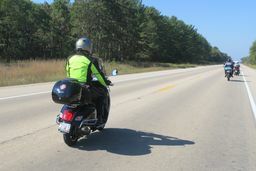 So, it was a warm, but beautiful day, I had my new riding jacket (Corazzo 5.0), and a full tank of gas. The wife took our dog up to Rock Creek Lake to hike around the lake with her friend, my daughter was working at the local bookstore, so it was just me. 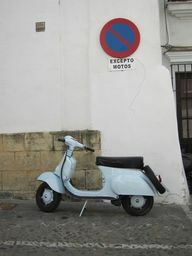 Why not take a ride? 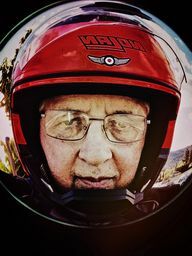 Headed out after church for a spin around where I live. 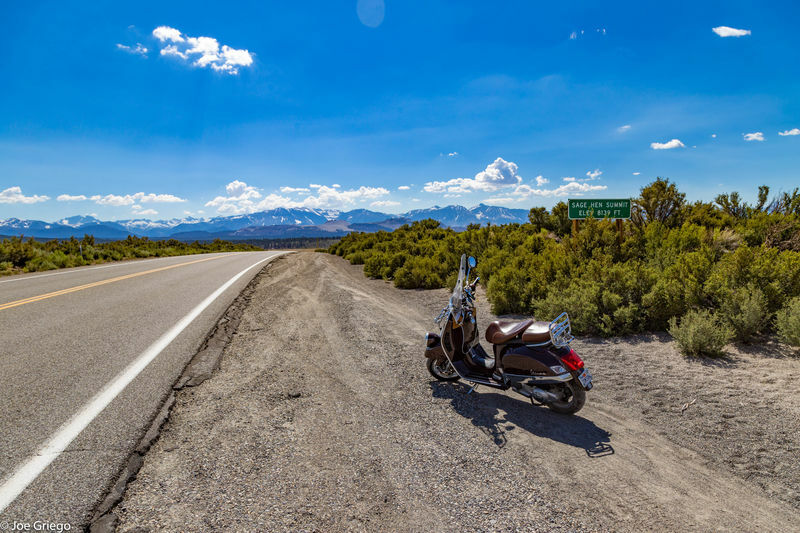 So, I headed out from our home, and I took the back roads up to the June Lake loop. 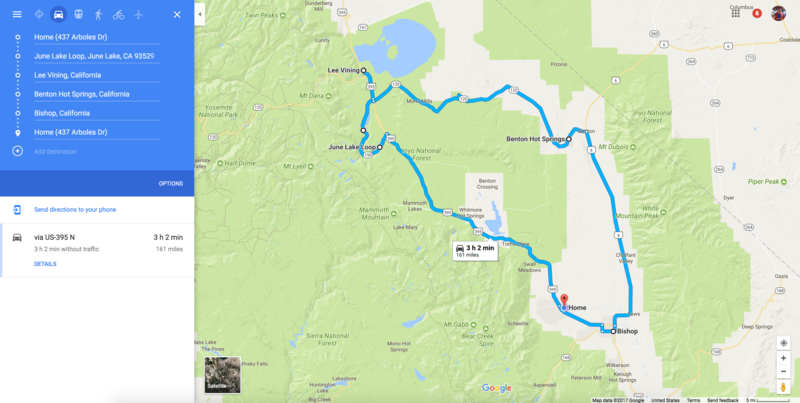 It's a very scenic loop of road off of Highway 395, with a string of sparkling lakes, all connected by streams full of trout, and due to the record snows this past winter, completely full. 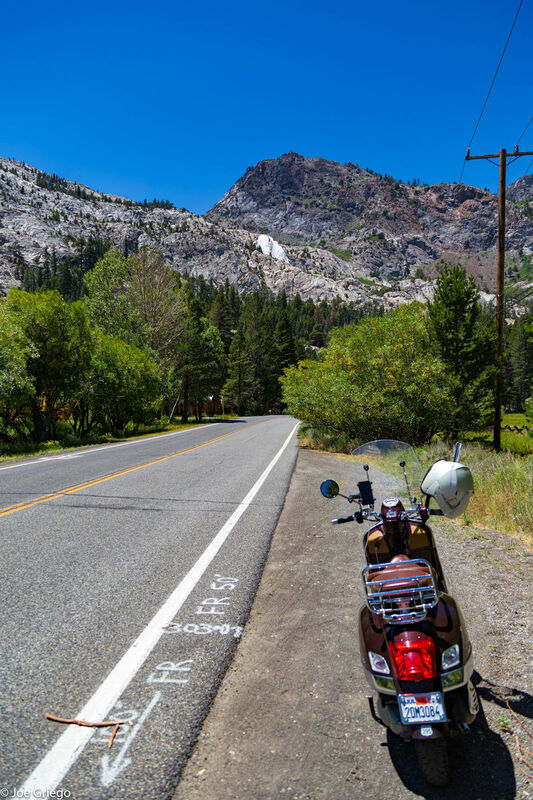 From there, I rode to Lee Vining (the east entrance to Yosemite National Park) for a quick top off both for myself and the GTV. 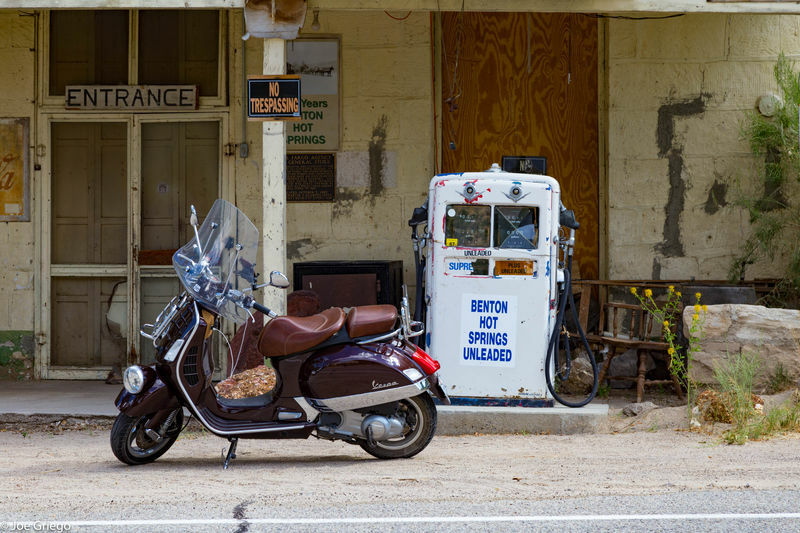 Grabbed a soda and ice cream cone for me, and a full tank of premium for the scoot. 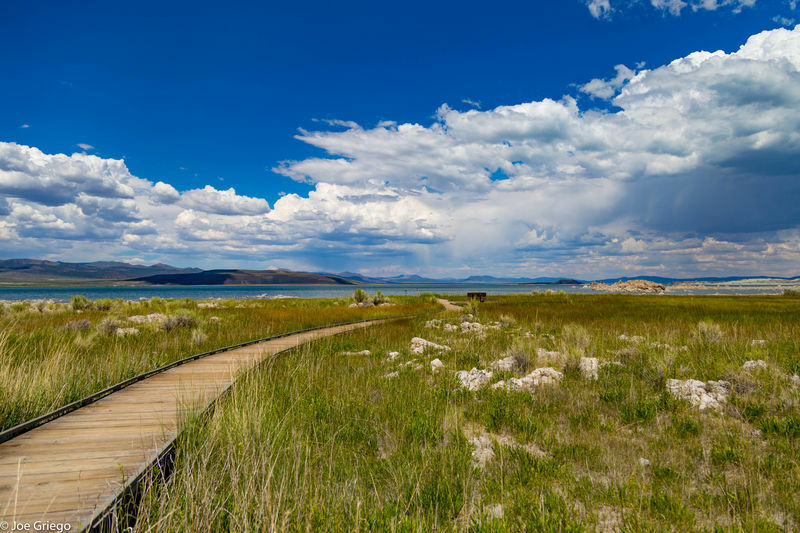 I headed over to Mono Lake, took a short hike to get closer to some tufa towers, snap some photos, and then get back on the bike. 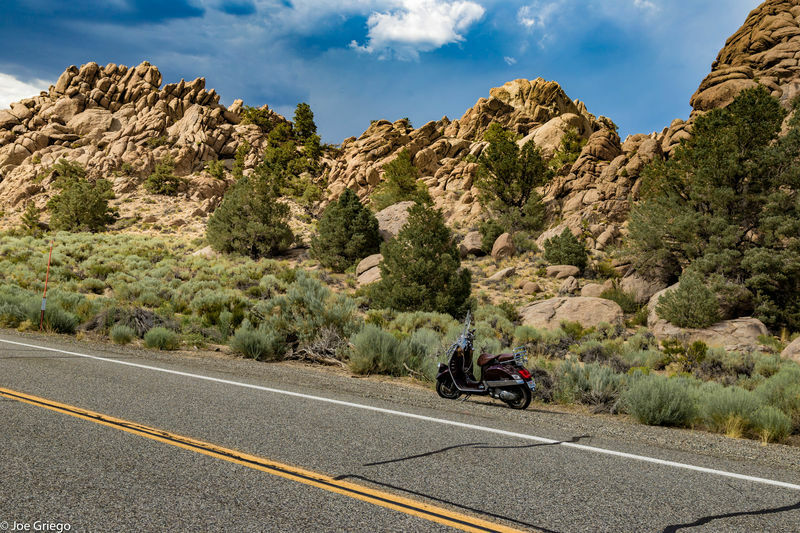 Enjoy, and get out there and ride! Looking up at Horsetail Falls, which is raging! This is along the June Lake loop road. 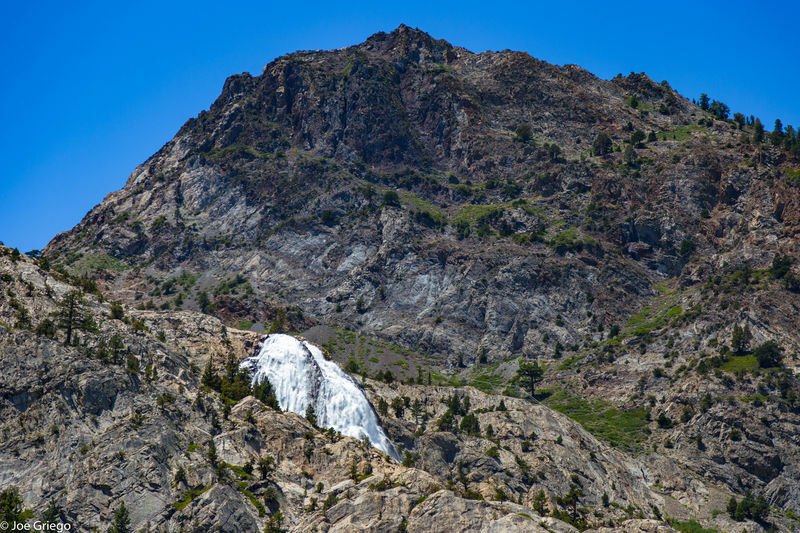 Closer look at Horsetail Falls. 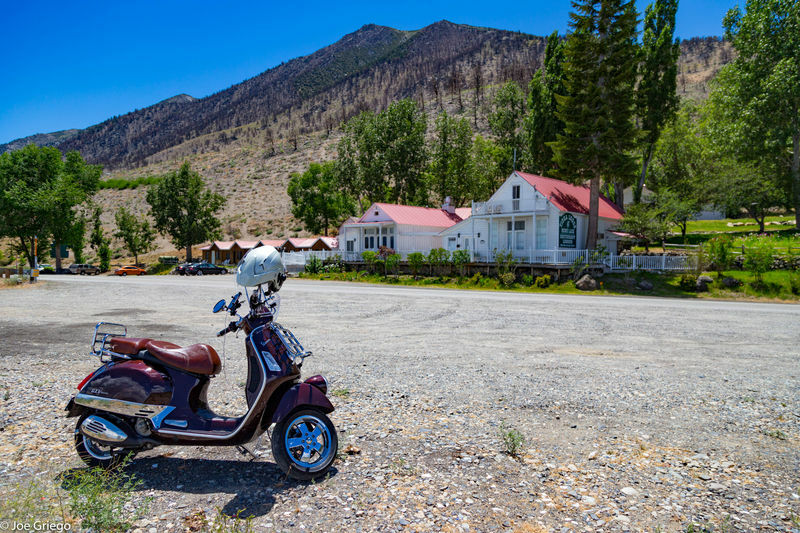 This was near the Double Eagle Resort & Spa on the June Lake loop road. 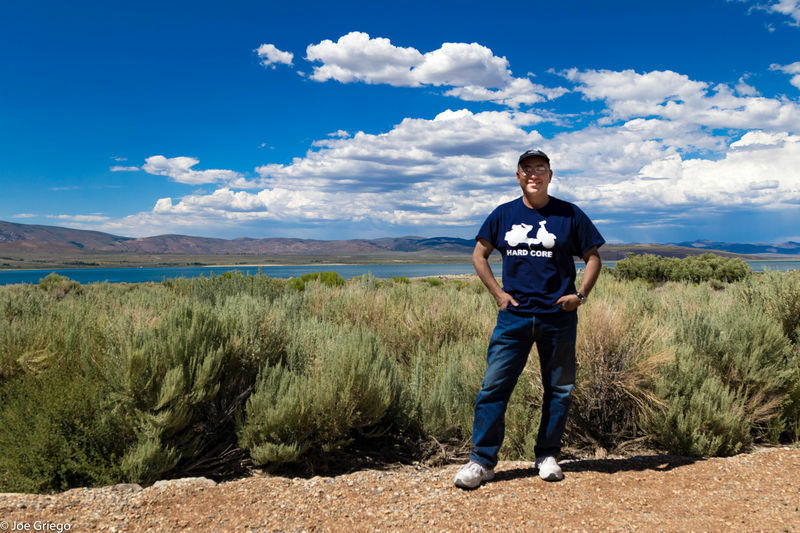 Stopped at the Tioga Lodge, just north of Lee Vining, California, adjacent to Mono Lake. 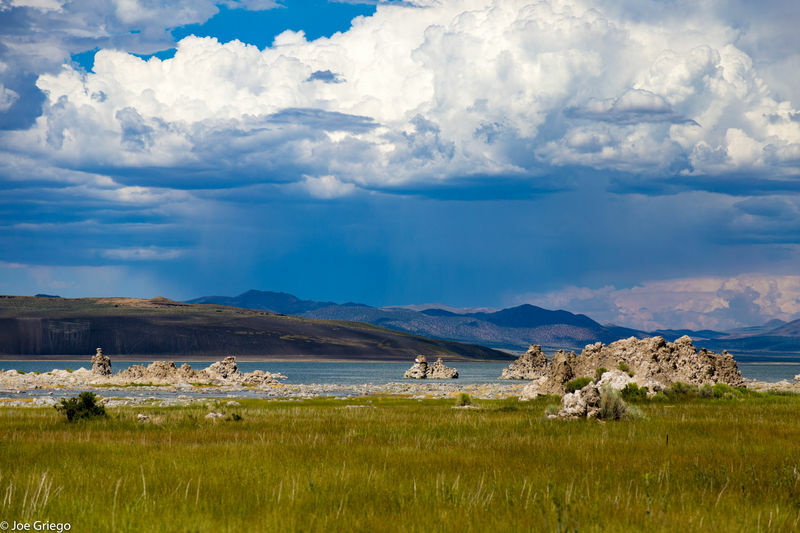 Looking east across Mono Lake. Due to an extreme winter, it's the highest it's been since Los Angeles started draining it in the 80's! 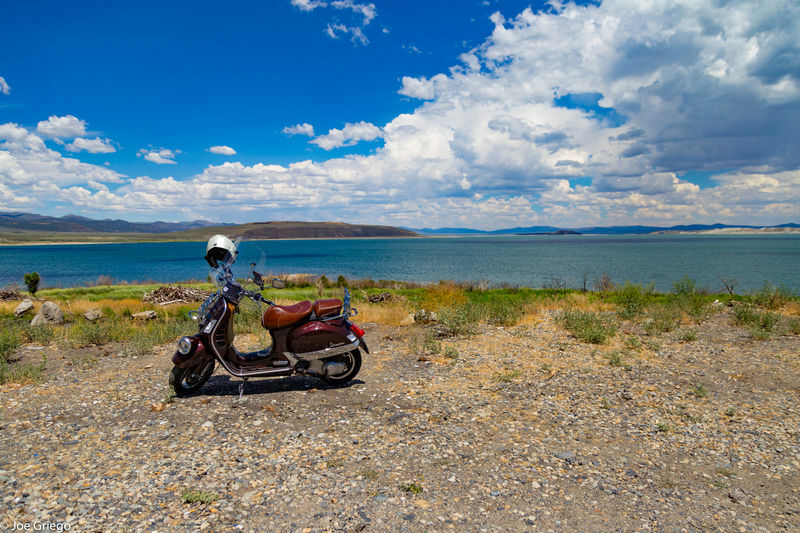 Rode over to the Mono Lake tufa trail. This is the handicapped-accessible trail & lake in the background. The clouds started coming in. The Sierra Nevada get a lot of afternoon clouds, and today was no exception. 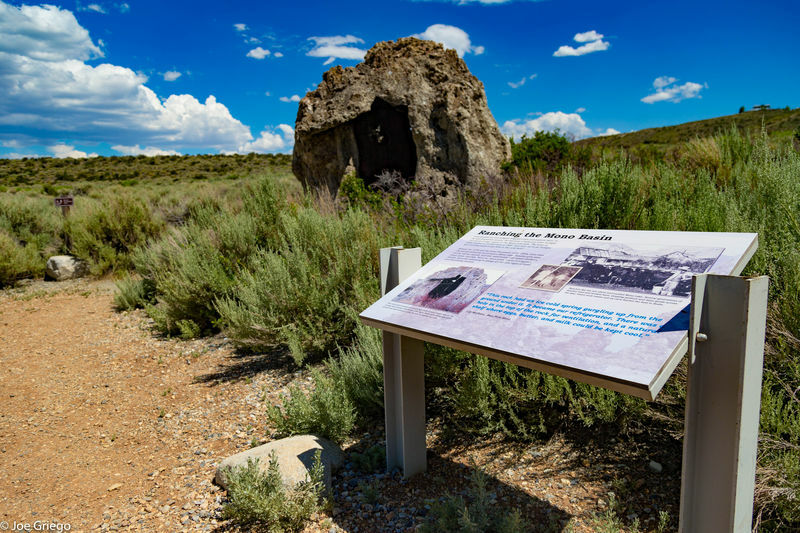 The tufa trail goes by this formation known as the "refrigerator tufa" because an ice cold spring used to flow up in the floor, making a natural refrigerator for local ranchers. 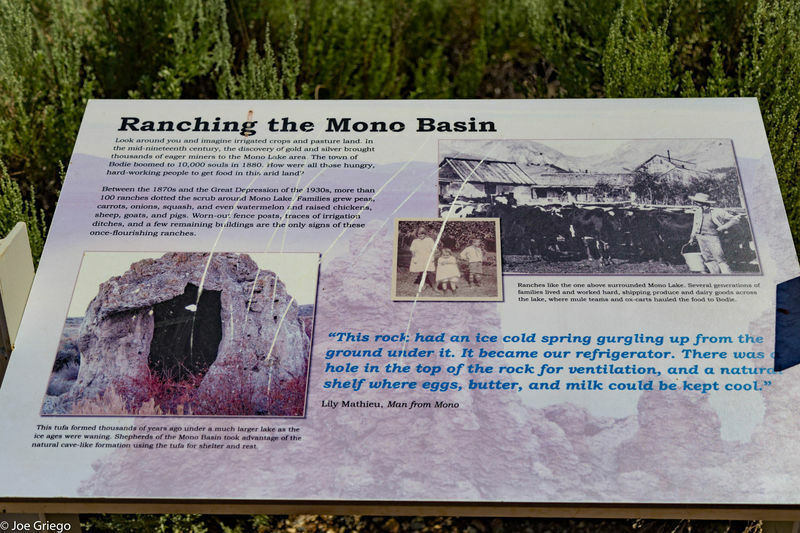 The trail interpretive sign about the ranchers around Mono Lake, and the refrigerator tufa. 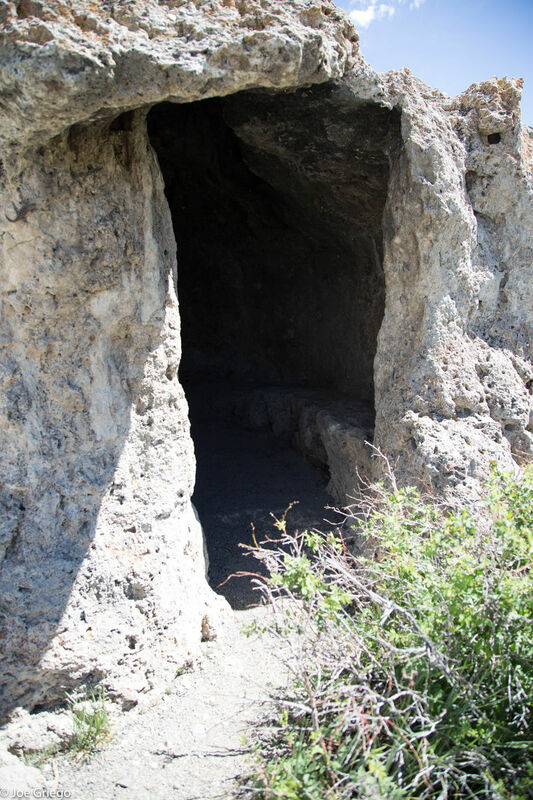 Looking into the "refrigerator tufa." No water flows anymore, but the natural bench is still in there, and it is nice and cool inside. Another tufa tower, up close. 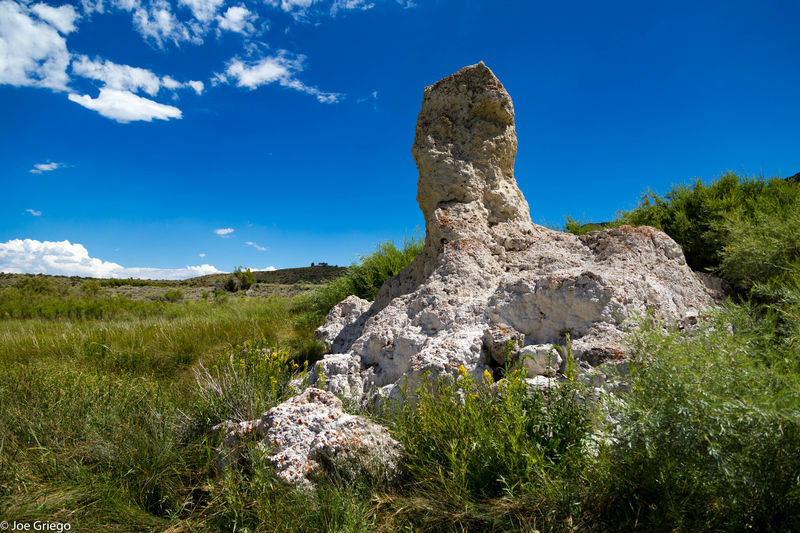 When the lake was a LOT higher, natural springs percolated from the lake floor, and mineral deposits made these tufa towers. 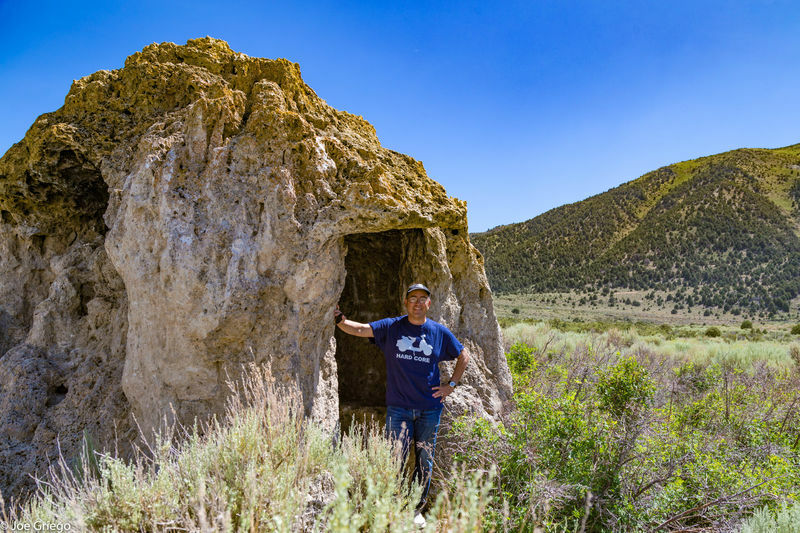 When Los Angeles drained it in the 80's, the tufa towers were exposed. Looking at larger tufa tower formations closer to the shore. 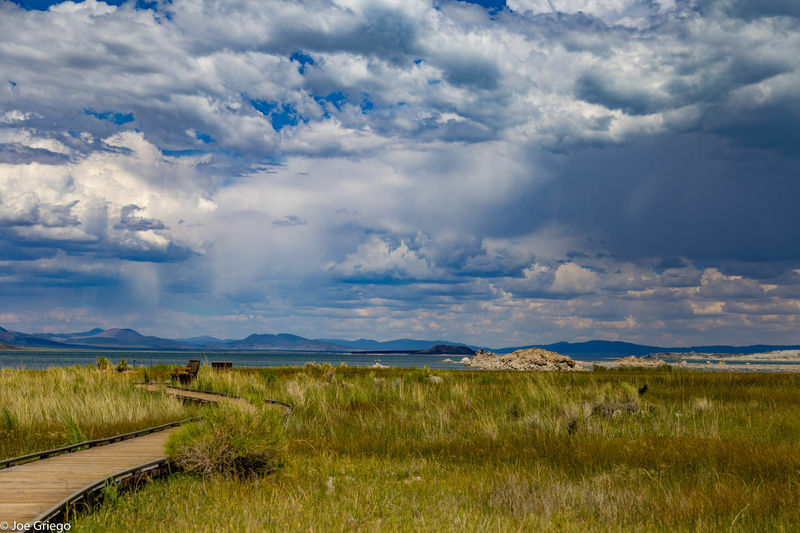 Nice clouds this afternoon over Mono Lake! 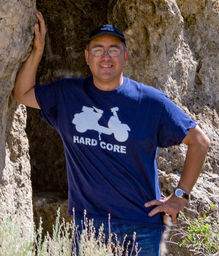 I don't get many photos of myself, since I'm the family photographer, so having a Joby tripod for my Canon 6D paid off. This is me, wearing a shirt my niece got me last Christmas. 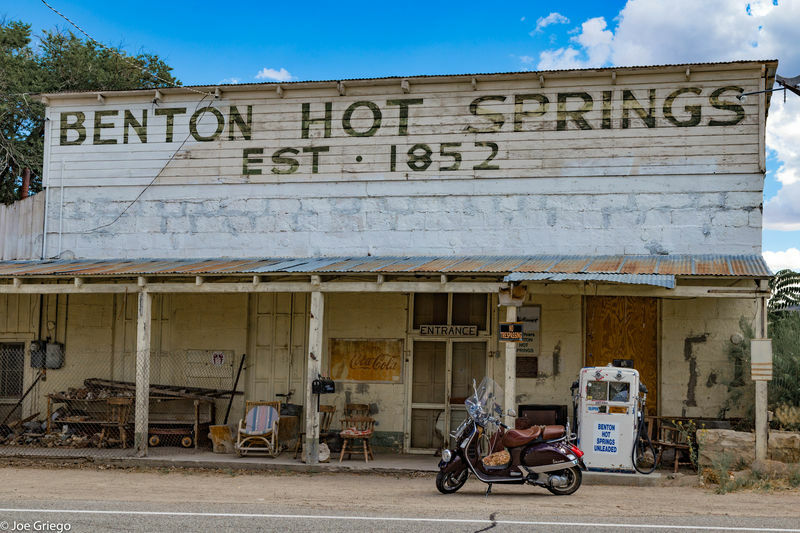 From Mono Lake, I headed southeast on Hwy 120 over to Benton Hot Springs. I stopped to take a photo on Sage Hen summit, at just over 8100 feet elevation. 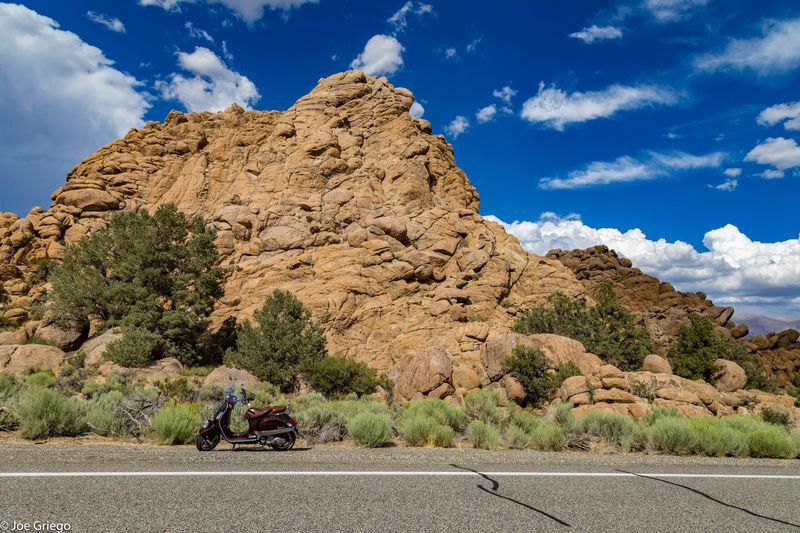 Stopped at the Mormon rocks just above Benton. They remind me a lot of Vasquez rocks (a couple of hundred miles south of Bishop, on Highway 14 - made famous in Star Trek, various movies). Just another glamour shot of the GTV against the rocks above Benton. 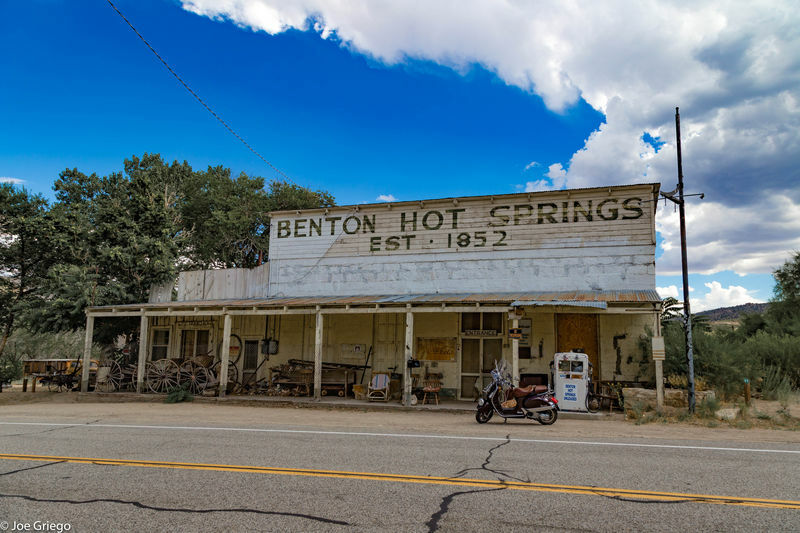 A nice shot of the store at Benton Hot Springs - and Isabella, my GTV! Always love pics of your rides and also always forget how beautiful it can be down there. Thanks. Although, Idaho is quite beautiful as well. I've lived a lot of places, including overseas, and I can't help but love my California home. I'm just grateful to have the opportunity to live in such a scenic environment. What's Moscow like? I've only been to Coeur d'Alene, and back down south to Bishop. I took my son to a college tour at Gonzaga a couple of years back, and we took the scenic route back home... Come to think of it, I *may* have passed through on the way back! What would you say the most scenic part of Wisconsin is? In Wisconsin, the single best ride is to stick as close to the Missisippi river as you can. Then I would continue to Duluth Minnesota, or cross over to Michigan hugging the Lake Superior coast. Wisconsin was a dairy state, so a lot of the little roads are paved for the dairy trucks. You can kind of wander off the main roads pretty easily and not get lost. I realize this ride was awhile ago, but the pictures are truly quite lovely.